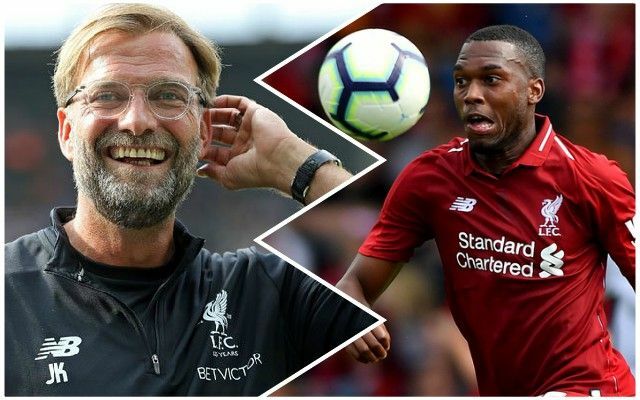 Liverpool forward Daniel Sturridge has offered his opinion on manager Jurgen Klopp, saying he thinks he’s a ‘cool’ guy. It has been reported at times that the pair don’t see eye to eye, but Sturridge’s latest quotes would suggest that is not the case. Via the Birmingham Mail, Sturridge said: “He’s cool. He’s passionate, he tries to get the best out of everybody. There’s a great vibe. Sturridge has had an important role to play in the title race to date, scoring the late equaliser at Stamford Bridge, for instance, and might have more decisive moments off the bench or from the start between now and May. He didn’t, though, want to discuss it in great detail, preferring to let the matches and the table to the talking. Sturridge has never been fully appreciated since he signed from Chelsea in 2013, and this could be his last season with the Reds. Hopefully, he can end on a high with a Premier League winners medal.